Happy almost June, friends! It's hard to believe how fast this month has gone by, and it's been a sweet one for sure! 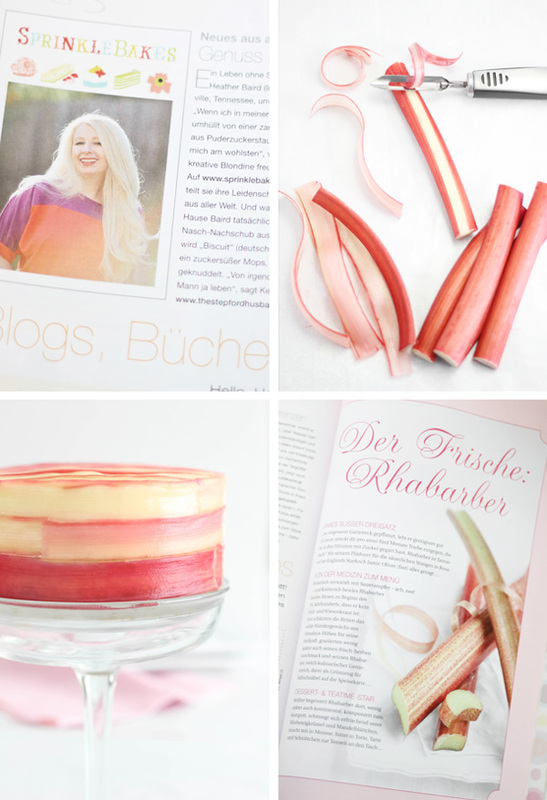 Many, many thanks to BHG for having me on as their Month of Cakes contributor. 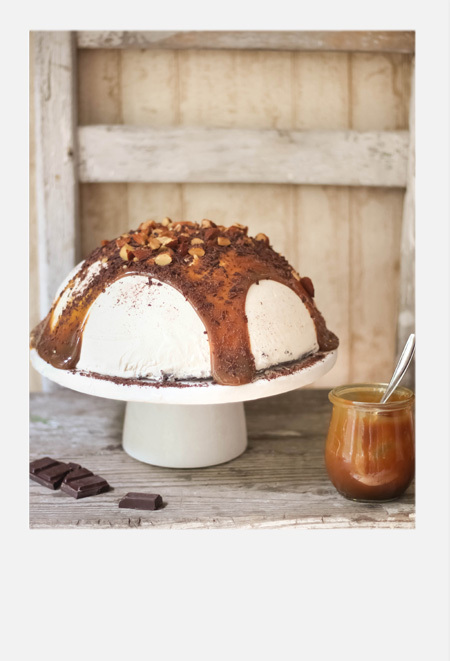 My final post combines so many of my favorite things - coffee ice cream, hot fudge, salty almonds, chocolate shavings - I don't think there is a craving it won't satisfy! 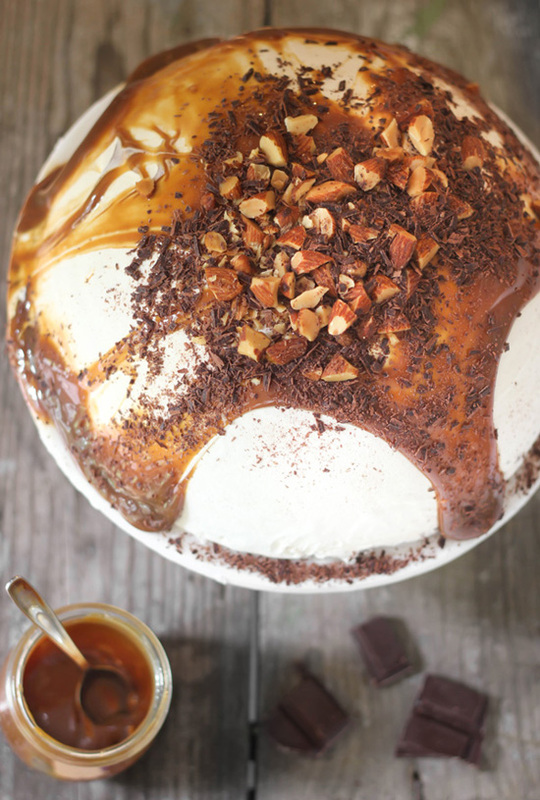 You can find all the instructions for this summertime-ready ice cream cake here - enjoy! 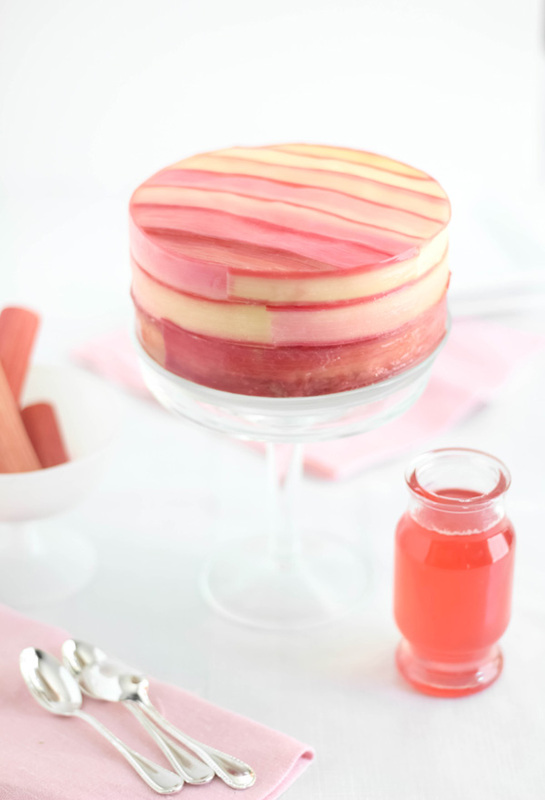 I'm not really sure who came up with the idea for this cake, but I love everything about it. I've seen a few versions floating around the web and with Memorial Day weekend coming up, I decided it was time to try it for myself. The best part about it is that you only need three ingredients to make it (okay, four if I'm being picky). It's delicious, and even more so now because juicy watermelons are ripe and readily available at the grocery store. 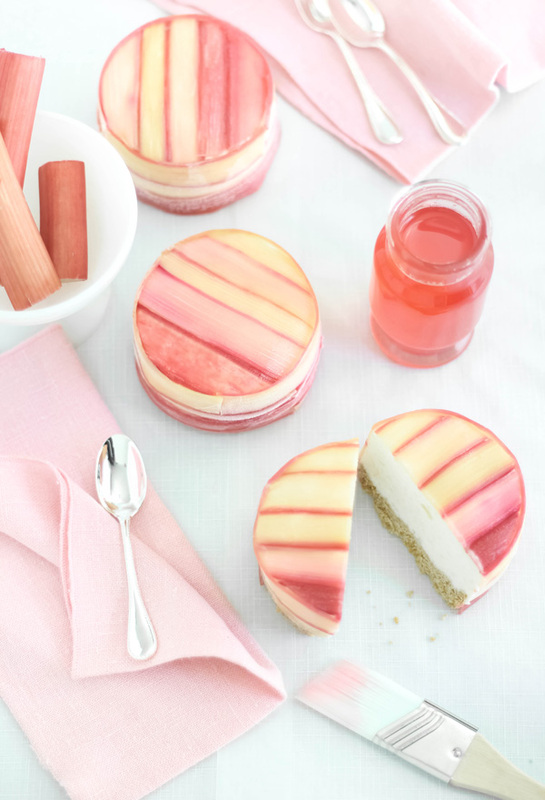 It is so easy to make and highly summer cookout appropriate. Edit 6/23/16: This cake has received a lot of attention over the past few years, thanks to a popular food site. Some people love the idea and others are aghast with comments like "I'd be so mad if I were expecting real cake!". Others are downright rude about it. Recently, I made a variation of this recipe for someone who couldn't have real cake because of health complication. It was something fun to put candles on and sing 'Happy Birthday' over. If this cake upsets you for some reason, and you are lucky enough to be able to eat real cake, then take advantage of that and eat real cake. If not, this could be a fun alternative for those with dietary restrictions. The frosting is heavy whipping cream beaten with granulated sugar. I added vanilla bean to the party because I knew it would be delicious. And it is. I've seen versions of this using tubs of frozen whipped topping, so you could use that too and make even shorter work of building the cake. I recommend the homemade whipped topping, though. Everything tastes so fresh and lovely. Cutting the watermelon to shape was easier than I thought. Just cut the top and bottom of the melon off flat, and then carve the rind away. The shape doesn't have to be anywhere near perfect, just do the best you can. The whipped cream will camouflage an uneven surface. 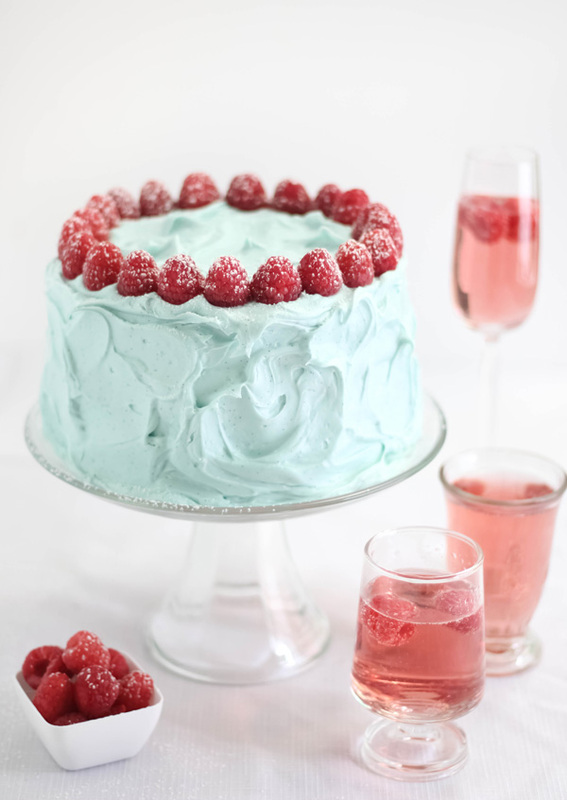 You can make this cake as large or small as your party dictates (or that the available produce will allow), but you'll need to adjust your whipped cream topping accordingly. This watermelon was about 7 pounds before carving, and 2 1/2 cups of heavy whipping cream covered it well. It's actually better to have too much whipped cream than too little, since it is instrumental in smoothing an uneven carving job. Edit 5/25/14: I was talking to the cashier at Trader Joe's about this cake, and she makes it vegan with coconut whipped cream - great tip! 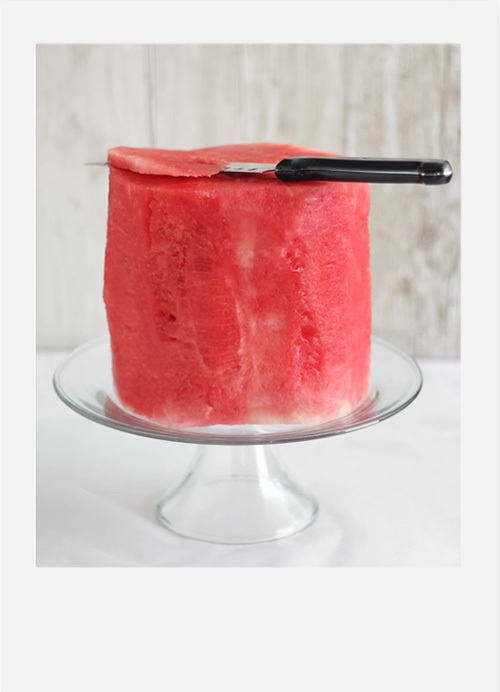 Also lots of people are worried the frosting will slide off of the watermelon cake because it's so, well, watery. I did not experience this. There will be a little water pool at the bottom of the cake as you cut it, but nothing major. 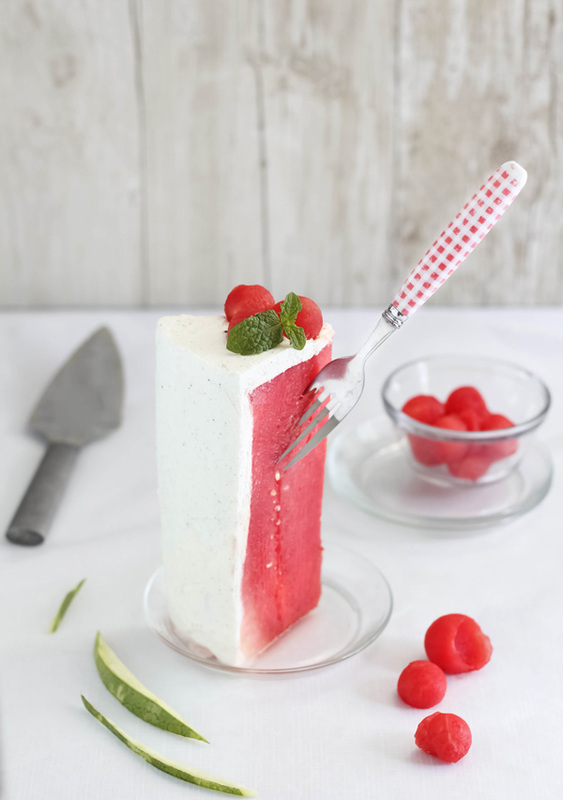 Using a large sharp knife, cut the top and bottom off of the watermelon flat and save the ends for later use. Turn the watermelon upright and carve away the rind in downward strips until all of the green and white pith is removed and you're left with a red, ripe center. 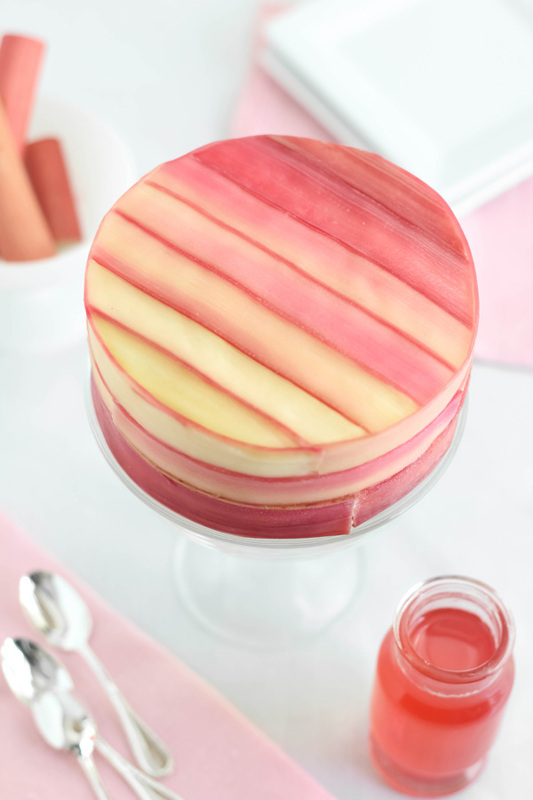 Carve away small pieces from the sides and top until the center is roughly cake-shaped. In a large mixing bowl, beat the heavy cream on high speed with an electric hand mixer until it begins to thicken. Add the sugar one tablespoon at a time, and then the vanilla bean seeds. Beat until the mixture is thick and spreadable, about 5 minutes. 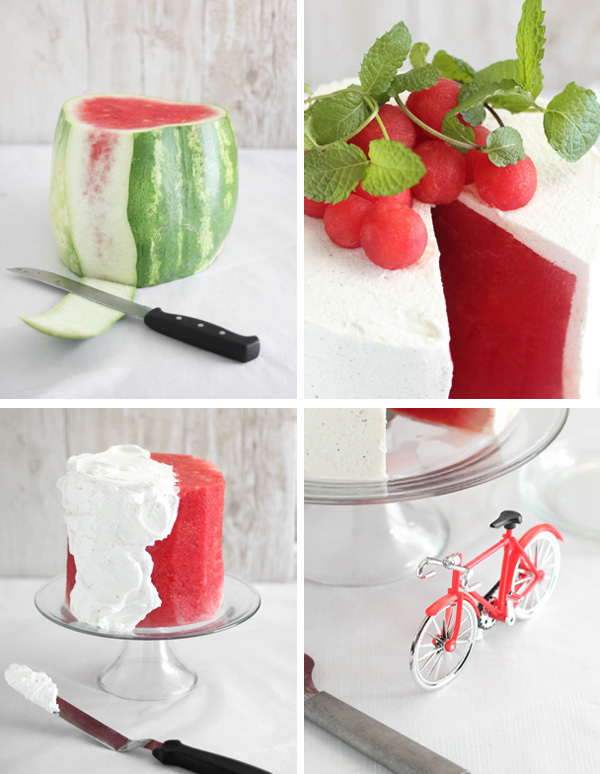 Transfer the watermelon to a cake stand or serving plate and pat the outside with paper towels to remove excess water. 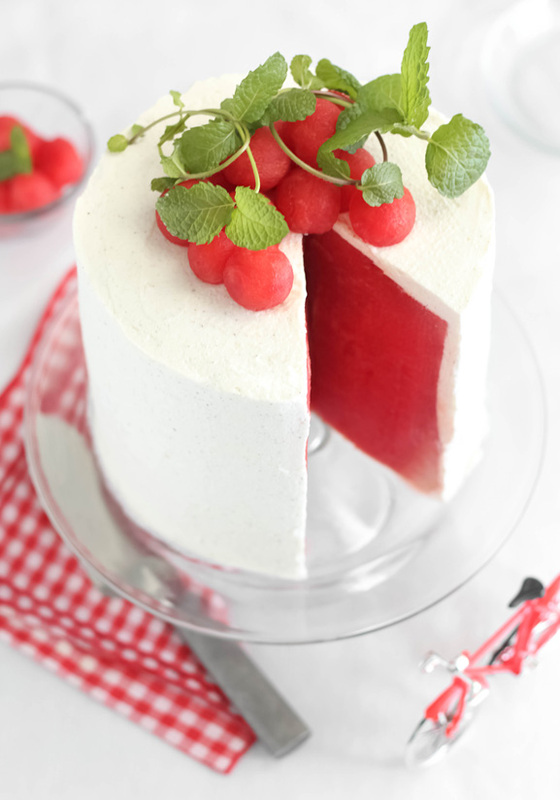 Spread the whipping cream over the entire surface of the watermelon. Use a melon baller to cut round pieces of melon from the two reserved ends. 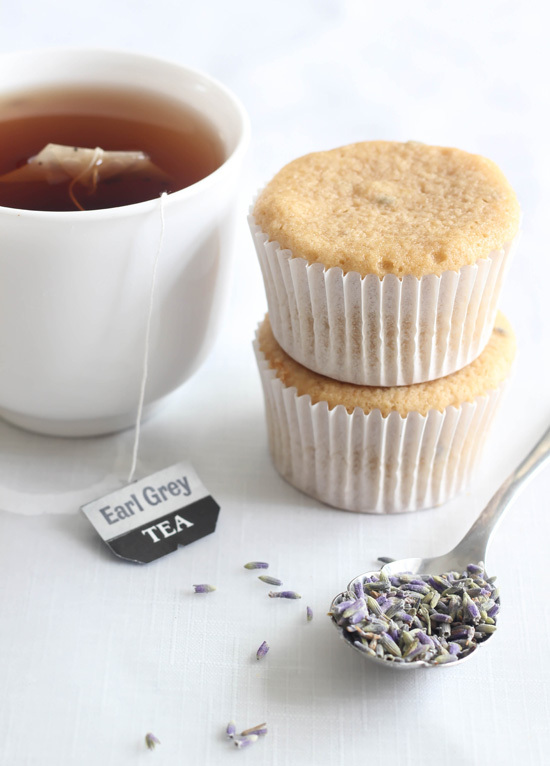 Place them on the top center of the cake and garnish with mint sprigs, if using. PS. 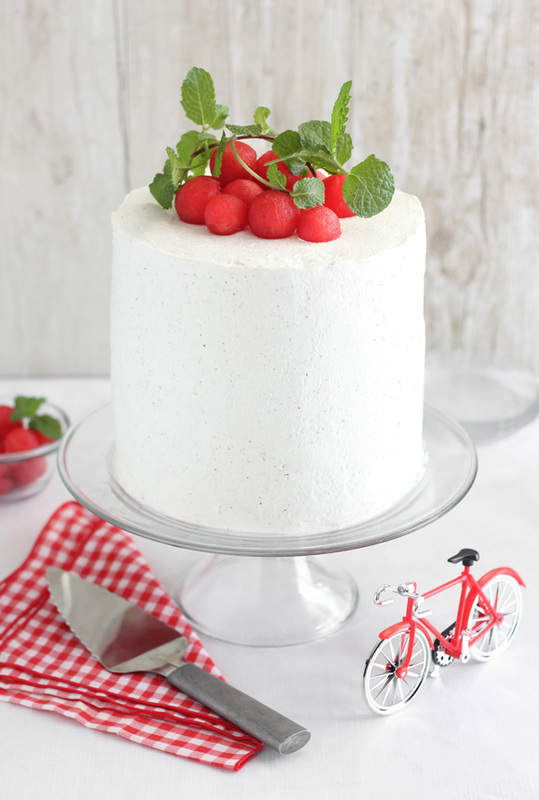 The adorable little red bicycle is a cake topper and can be found at Hey Yo Yo! 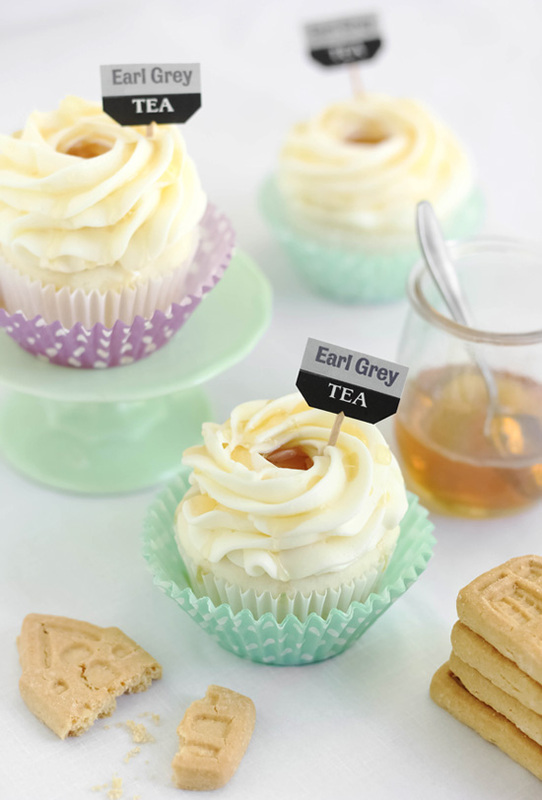 My third post for Better Homes and Gardens' Month of Cakes is a refreshing take on grasshopper cupcakes. 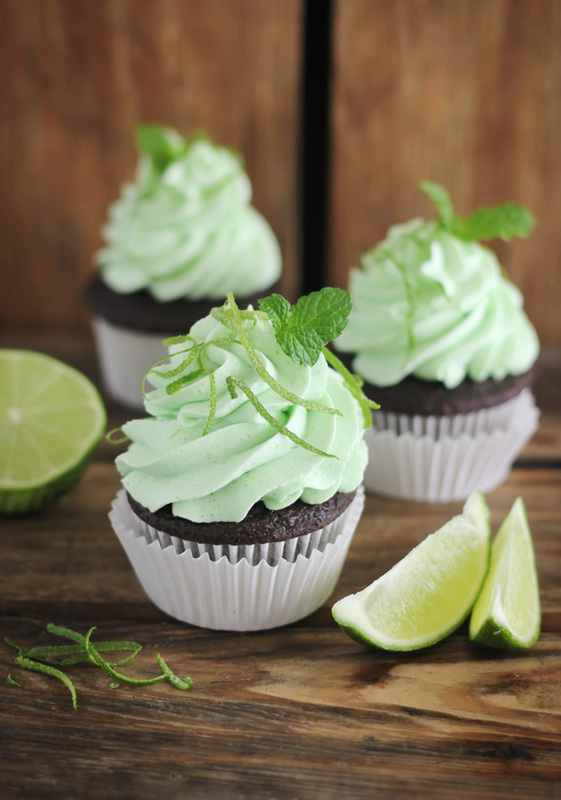 Fluffy whipped cream is flavored with mint, lime zest and rum to give rich chocolate cupcakes a Mojito-inspired topping. 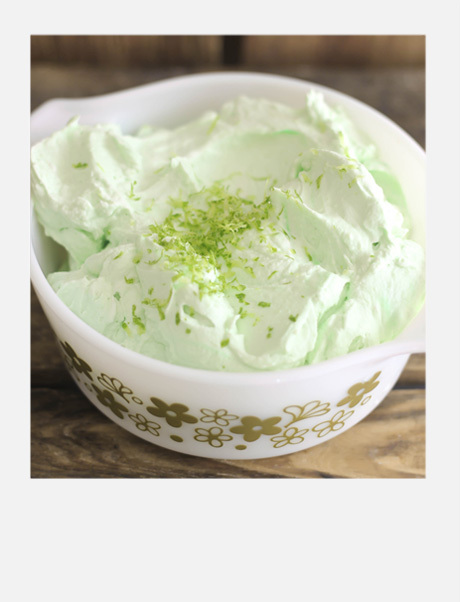 I love this frosting so much I've even piled it on top of an ice cream sundae! Ready to try them at home? Find all the details here!